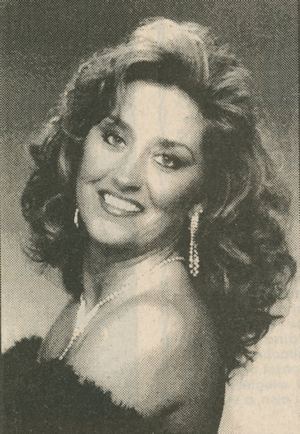 Obituary – Crumm, Tamara Shawn (McBride) « Perry High School Alumni Association, Inc.
﻿Funeral will be at 2 p.m., Wednesday, for Tammy Crumm, who was found dead at approximately 7:48 p.m., Friday, March 14,1997, at a residence four and 3/4 miles east of Perry. Services will be held at the First Baptist church. Rev. Troy Taylor will officiate. The family will receive visitors from 6:30 to 8:30 p.m., Tuesday, at Brown Funeral home chapel. Ms. Crumm was born Aug. 5, 1964, in Perry, the daughter of Ben and Cheryl (Burnside) McBride. She was a 1982 graduate of Perry high school and Meridian Technology school, where she majored in food services. She also was a graduate of Northern Oklahoma college at Tonkawa. At the time of her death, she was manager of the Best Western Cherokee Strip restaurant, west of Perry. Survivors include her mother, Cheryl Burnside, Perry; her father, Ben McBride, Crane, MO; one sister, Tonja Miller, Stillwater; and her grandfather, Claude Dowell, Perry.